To promote their upcoming film Get Hard, Will Ferrell and Kevin Hart dropped by Funny Or Die to answer some questions from fans. The video turns into a running gag that the two actors and comedians were always sent out by their agents to audition for the same roles. Hart reads for Ferrell’s iconic role as Ron Burgundy in Anchorman, and Ferrell reads for Hart’s role in Ride Along. Ferrell even reads for Hart’s role as himself in Real Husbands Of Hollywood. Needless to say, these staged auditions are hilarious, with both men giving intentionally awful impressions of one another. 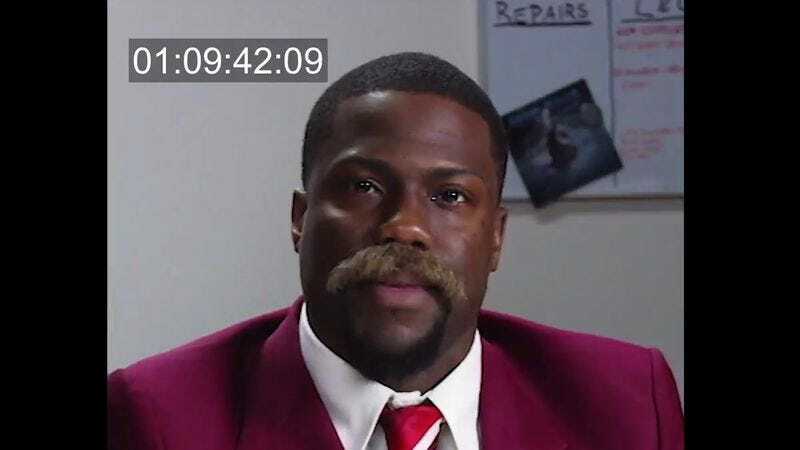 Just imagine Talladega Nights with Kevin Hart as Ricky Bobby instead of Ferrell. Get Hard costar T.I. even drops by to share his failed audition tape for Ferrell’s role in Step Brothers.